Mining, shipping, and burning the dirtiest, most carbon-intensive fossil fuel on the planet continues to wreak havoc on the health of communities throughout Appalachia. Coal may be cheap, but the true cost is the price we end up paying by sacrificing our health, our environment, and our future. 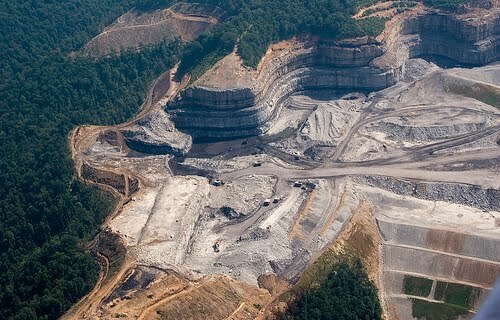 One of America's most heartbreaking environmental and human rights tragedies, mountaintop removal for coal mining is destroying Appalachia's rich culture and heritage, as well as the beautiful, ancient mountains and diverse forests the region is known for. Although there are no plans to start mining coal again in Whatcom County, the legacy left by the Gateway Pacific Terminal, what would be North America's largest coal export facility, could be very similar here in the Pacific Northwest. Join Appalachian Voices and RE Sources for Sustainable Communities on Friday, April 20th at 7pm in the YWCA Ballroom (located at 1026 N. Forest St. in Bellingham) for a powerful and compelling presentation on the impacts of mountaintop removal coal mining in Appalachia and the proposed coal export facilities here in the Pacific Northwest. Meet the people who are fighting to protect their homes, their families, and the mountains themselves from the irreversible destruction on the East Coast of our country and your local advocates who are working hard to prevent the West Coast from becoming a high volume coal corridor. At the heart of this special event is the stunning Appalachian Treasures slide show, featuring photos of Appalachia and mining sites, voice recordings from coalfield residents, and traditional Appalachian music. An Appalachian coalfield resident will speak about daily life in the shadow of the mines, where residents are forced to contend with the destruction of water supplies, continual dynamite blasting that damages homes and wells and creates choking dust and the fear of fatal, catastrophic floods with every rainfall. Learn how you can help your neighbors in Appalachia end mountaintop removal and how to get involved in stopping coal export from Whatcom County. This article is an eye-opener because a few little know the truth behind coals. I suggest you also promote <a href="http://www.abenviro.com/services_oil.php>oil tank removal in Long Island</a> to further give awareness on how to help clean the environment.